Last week, we had fantastic news about one of our 2014 Five to Revive properties, the Hillside Cemetery and Chapel in Orleans County: the Town of Clarendon was awarded $126,210 from the Finger Lakes Regional Economic Development Council to help fund much-needed repairs to the Cemetery Chapel. Funding will come through the NYS Office of Parks Recreation & Historic Preservation. 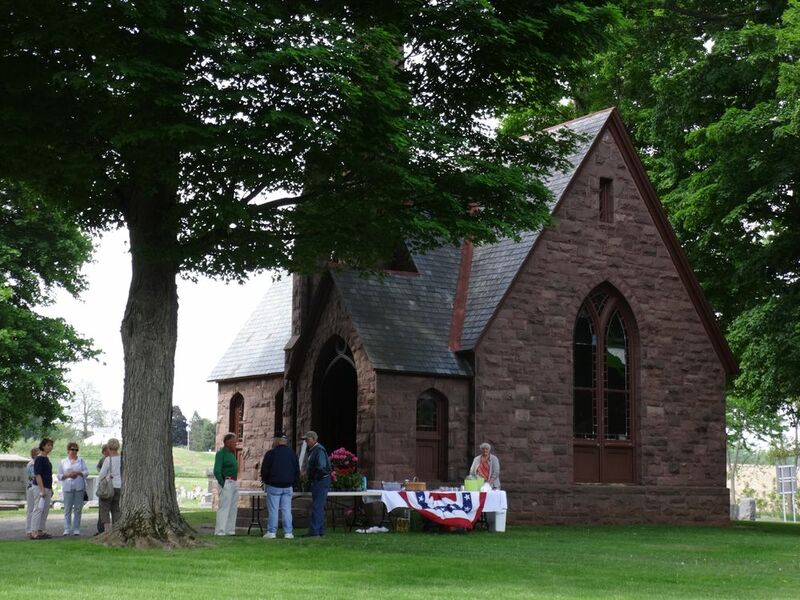 Since its inclusion on the Five to Revive, Landmark staff have been working with local preservation advocates and Town of Clarendon officials to find funding for repairs to the Chapel, to draw attention to the site, and to find creative, economically viable new uses for the building. The grant project will restore the non-denominational chapel and help repurpose it for new, public uses. Anticipated uses include: concerts, historical and art exhibits, and lectures. Our hats go off to the preservationists (most notably Orleans County resident, Erin Anheier who was also instrumental in saving the Clarendon Stone Store) who have spearheaded this effort. Irreplaceable historic resources like this could not be saved without their hard work and determination. For more information, check out Tom Rivers’ article about the grant at the Orleans Hub. 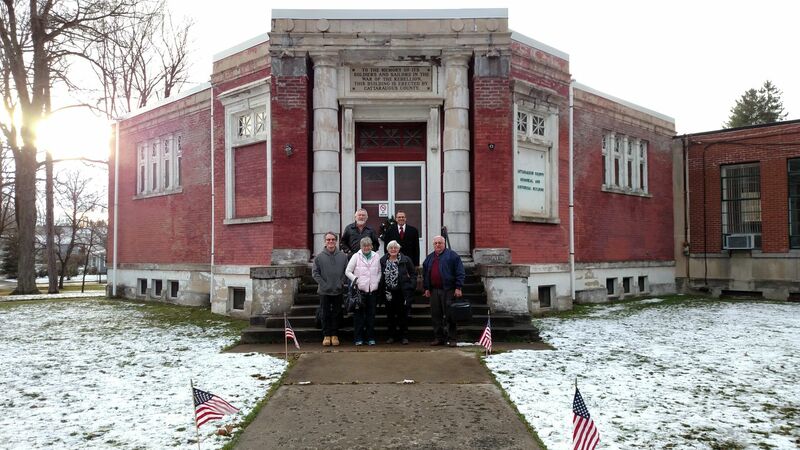 Two weeks ago, Landmark staff and preservation advocates with the group Citizens Advocating Memorial Preservation (CAMP) were blindsided by an announcement from the Department of Public Works Committee of the Cattaraugus County legislature informing us that there would be no further discussion about reuse of the Memorial Building and that a resolution for demolition would be put before the full legislature the following week. Luckily, CAMPers were able to quickly rally the support of some key legislators and the vote to demolish was defeated last week. For more information, check out these two articles by Rick Miller in the Olean Times Herald. As one of our current Five to Revive, Landmark staff are actively working with CAMP members to save this unique building that was constructed to honor veterans of the Civil War. Our Preservation Grant Fund helped fund a preservation plan for the property and we continue to advocate for a thorough and well-reasoned exploration of economically viable new uses. We are hopeful that the County will be open to considering alternatives. In the meantime, it is important that County legislators hear from their constituents that this is an important issue. If you are a resident of Cattaraugus County, please reach out to your legislators and let them know that you don’t want to see taxpayer money used to demolish an irreplaceable veterans war memorial. If you know someone who is a resident of Cattaraugus County, please encourage them to contact their County representatives. This former factory building on Hudson Avenue in the city of Rochester has just recently hit the market. Although the building has been long-vacant, it is ripe for adaptive reuse. It is listed with Michael Quinn of Mission Commercial Realty. Click here to see the listing. 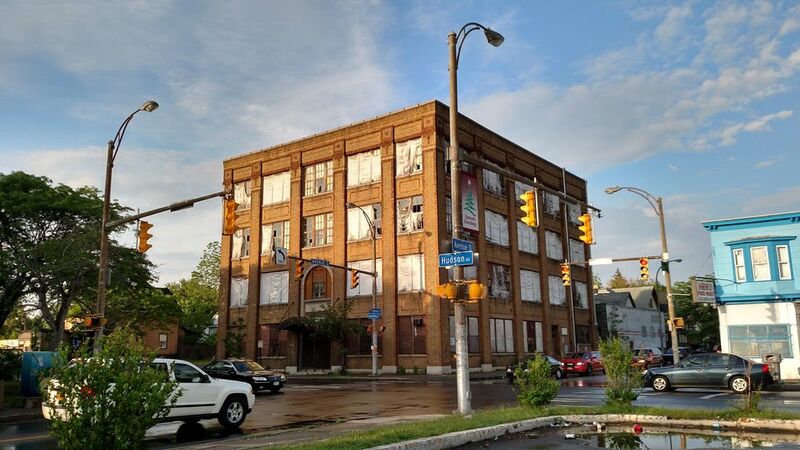 This entry was posted in Success Story, Updates and tagged adaptive use, Five to Revive, Historic Landscapes, Preservation Grant Fund, rehabilitation by Caitlin Meives. Bookmark the permalink.